Harvard Law Review. 2016. 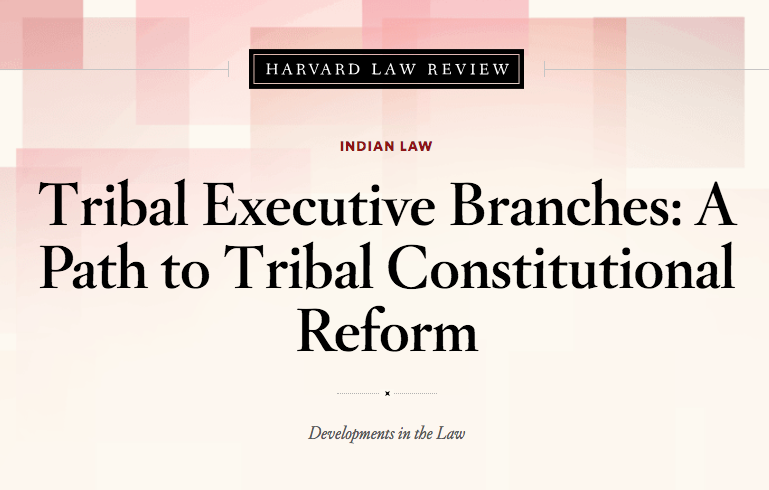 "Tribal Executive Branches: A Path to Tribal Constitutional Reform." Harvard Law Review. 129 Harv. L. Rev. (April): 1662-1684.